There is no shortage of ways in which you could spend a holiday, but there’s nothing to match the splendour and luxury of a few days aboard a cruise ship. Whether with your partner or your whole family, cruise liners offer a multitude of ways to pass the time, all of them focused on making you feel as pampered as possible. If you enjoy the idea of being fussed over and treated like royalty for a couple of weeks (honestly, who wouldn’t? ), the only real decision you’ll need to make is where to embark on your cruise trip. Do you opt for the sunny climes of the Mediterranean or Caribbean, would you prefer the stunning scenery of Alaska or have you another location on your mind (and bucket list)? Nature’s Water produced the infographic below detailing the 10 largest cruise ships in the world as of May 2017. 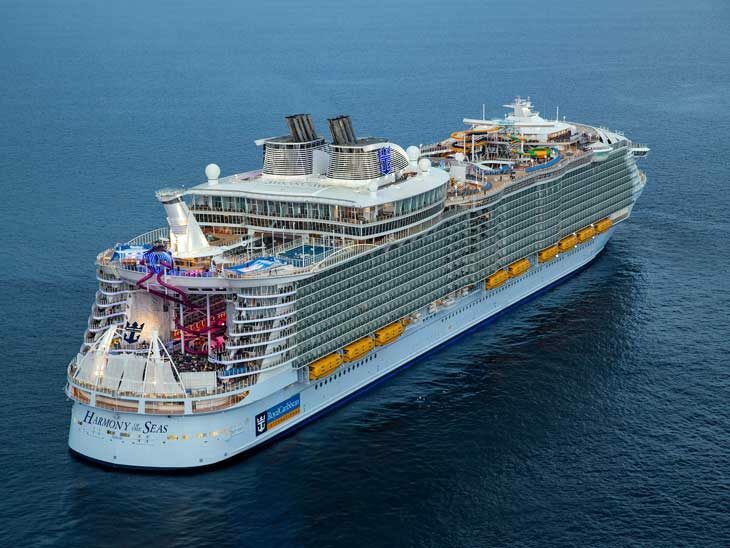 Royal Caribbean dominates the list, although some of Norwegian’s top liners are included. The specific attractions vary from one ship to the next, but what they undeniably all have in common is the unmistakable sense of luxury and bliss for adults, along with hours of entertainment for children. No matter what you’re into or how you like to spend your time, there will be something for you on any of these magnificent cruise ships. Check out the infographic below to see which made the top 10 and why they are so highly recommended for the trip of a lifetime.